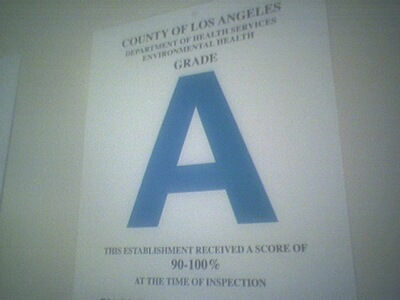 New York City to start grading restaurants like Los Angeles! | Thanks a Glatt! « Congrats to our Bagels & Co. gift certificate winner! The system sounds good on the surface, but it isn’t really fair to businesses. A non-A grade is a death sentence, and you can earn one for trivial things that no customer would really care about.